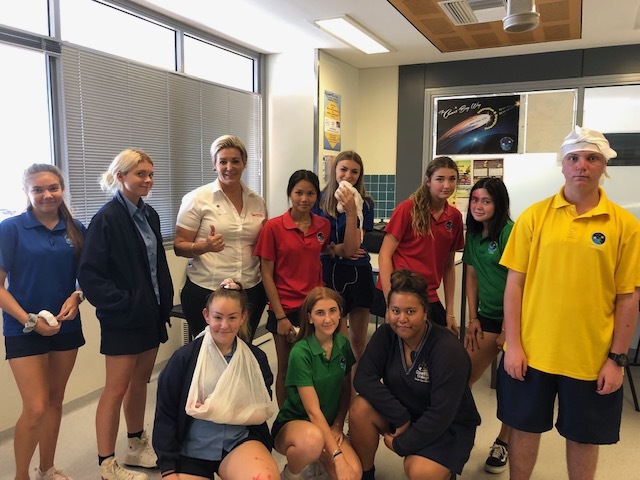 On Friday 15th March, Sue Steele from Red Earth Health Solutions visited the Year 11 Children, Family & Community class to demonstrate basic first aid, Sue also cosmetically created some extremely realistic trauma injuries. The students thoroughly enjoyed the session, and found it to be a valuable learning experience. Thank you Sue and Red Earth Health Solutions for your time and insightful demonstration.